The question that arises in my mind when I try something from Foursquare at standard strength is whether it would be better stronger, or whether it succeeds on its own merits as it stands. Long time readers of this site (both of you, ha ha) will know of my indifference to the Doorly’s XO, the R.L. Seale’s 10 YO and the Rum 66 12 Year Old, but ever since Alex over at Master Quill glowingly endorsed the Doorly’s 12 YO (and noted he didn’t buy the XO because of my review), I’ve been curious how it would fare – especially when compared with the Exceptional Cask series like the Zinfadel, Port and Criterion, let alone those amazing Habitation Velier collaborations. 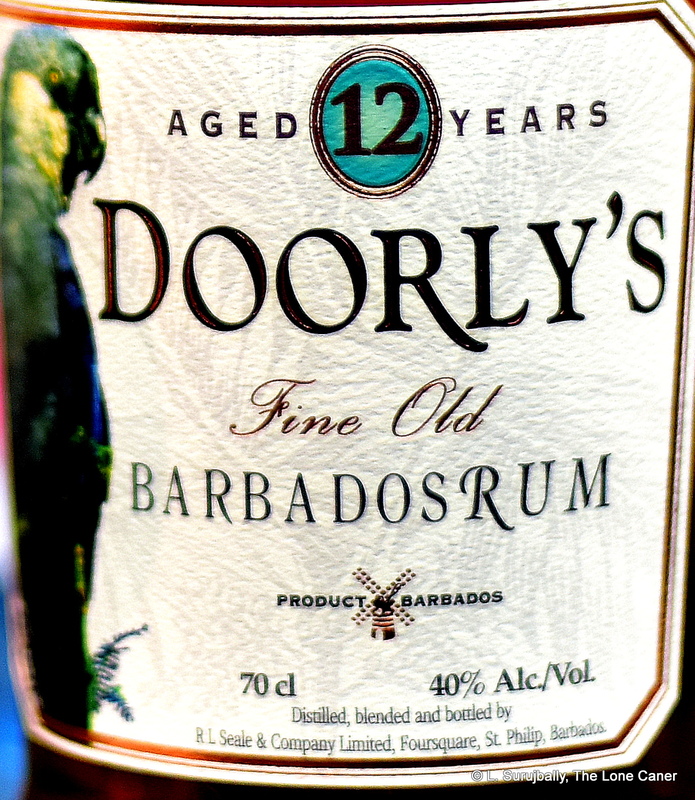 The Doorly’s brand was acquired by Foursquare in 1993, and it’s possible that the emergence of the El Dorado 15 YO the year before (it was one of the first aged premium rum brands regularly and plentifully issued by a major house) might have had something to do with that; and much of Mr. Seale’s blending philosophy and barrel strategy made famous by Foursquare’s more recent rums is still demonstrated in the Doorly’s lineup, though I feel it’s currently being overshadowed by the Exceptionals, relegating it to something of an also-ran in a connoisseur’s cabinet. It’s a blend of pot and column still rum, some 90% of which was aged in ex-bourbon barrels, and 10% in Madeira casks (12 years in each). The final result is married for a short time (no details on how long) and then bottled. I think that a lot of how you approach this rum and finally rate it will depend on where you stand regarding rums as a whole, and where you are in your personal journey. You like the Jamaican and Guyanese, or high power whites, or 55% agricoles? This might strike you as subtler, quieter, perhaps even bland. Prefer cask strength rums made by the indies, or Foursquare themselves? This one is likely to leave you frustrated at the untapped potential that never quite emerges. On the other hand, if growling ABV monsters and fierce pungency are not your thing, it would probably appeal in spades, be deemed a damned fine rum — and indeed, it is well regarded and held in high esteem by many, as a result of dialling into precisely those coordinates. Well, let’s taste it and find out, then. Nose first: it was a clear, quiet smelling experience, a stripped-down blunted Swiss army knife of almost-sharp twittering flavours led by a buttery salt caramel, burnt sugar, a bit of soft citrus (oranges rather than lemons), unripe cherries, pomegranate, cinnamon and nutmeg. What sharpness there was seemed to be more imparted by the wood, as it listed towards some oak influence, and maybe vanilla. Overall aromas were well integrated, and while for me it presented some of the same issues as the XO — too thin, too faint, too delicate — it wasn’t totally derailed by them either. Having observed a frailty of the nose, I was prepared for something similar on the palate. Sampling it confirmed the matter: it remained weak and that seriously impaired the delivery of both texture and taste. Yet hang on, hold up a minute…it was reasonably complex and tasty too. It led off with clear caramel notes, vanilla, some brine, faint molasses, an olive or two. Also chocolate, bananas, indeterminate fruits, creamy salted butter, toffee, some oakiness for bite and finally the nutmeg and cinnamon returned for a quick twirl on the dance floor. So that part was pretty good. However, I was utterly unenthused by the quick finish, which seemed to be as wispy as a debutante’s handkerchief and provided nothing of consequence – oak, leather, a little tobacco and straw, more caramel and a vague winy note that intrigued but was gone way too quick. Sorry, but that finish was a big yawn-through….I blinked and it was gone. 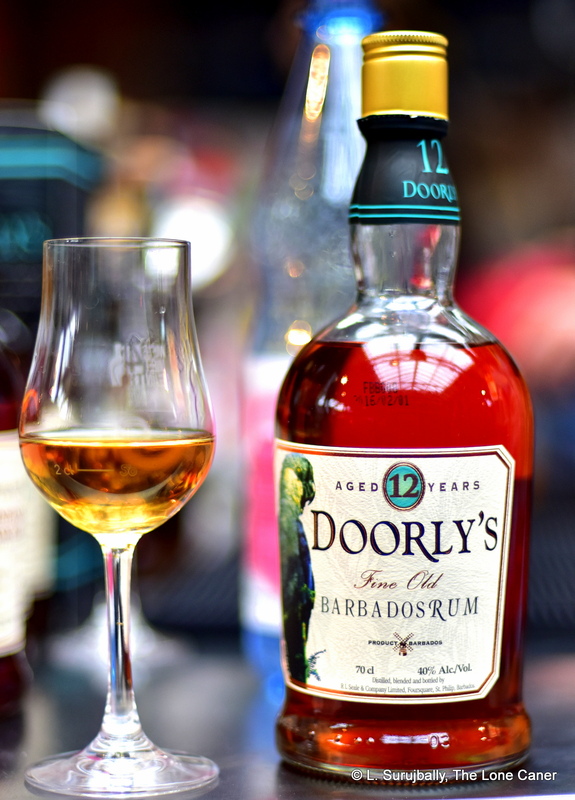 Everything about the rum seems to showcase the dialled-down approach that was in vogue ten years ago but has now been overtaken by events and developments in the larger rumworld. That it’s a well-made, serviceable, standard-proof rum for those who have never gone further (and don’t want to), I concede, no issues. It’s 12 years old, it has some subtleties and interesting tastes (the taste is quite good), goes well in a cocktail or solo, piques the interest and the palate nicely. What it lacks is panache, style, heft, clarity, intensity….it misses the mark on real character. It remains a rum of enduring popularity, of course, but leaves a deep core rum fun wondering wistfully what it might have been. And then turning to the Criterion to find out. This review is sure to be divisive, but since the rum has been around for a long time, it’s unlikely to change anyone’s opinion. For those who are curious as to what others wrote about it, more enthusiastic reviews are The Fat Rum Pirate’s detailed and informative 2015 write-up (4.5/5 stars), Serge’s 2017 runthrough over at WhiskyFun (85 points), and Rum Gallery’s review (8.5/10 points). Better yet, if you haven’t tried it yet, do so, preferably in tandem with other Foursquare products. I need hardly mention no sugar, no additives. The closing three paragraphs of the Rum 66 review, published almost exactly a year ago, are as applicable now as they were then. One of your two readers here: you do realize that drinking casks strength rum all the time has simply desensitized your palate and nose? The lack of oomph is your problem, not the problem of the rum. The master distillers commonly water down the spirit to about 20% to get out all the nuances. You can compare it to a guy who eats Madame Jeanette chili every day and claims regular Indian food is not spicy at all and bland. Or someone who smokes Cuban cigars every and then claims Caroni isn’t really smoky or that regular cigarettes don’t taste of anything. Alcohol is an anesthesia and drinking everything cask strength is just a bit silly. Sure cask strength has an intensity, but it’s identical to wanting Madame Jeanette chili (or even better: flavour enhancer) in all your food because you otherwise think it’s boring. I’m not trying to be negative; I think your reviews are great and I especially love the background information on the brands. I’m just giving my thoughts on the difference between you and other reviewers regarding regular strength spirits. Your points are extremely valid, and I would agree with you 100%, except that I felt the same way about the XO way before I got into cask strength rums . That said, I also did try to make it clear to whom such a rum would appeal, as well as providing other writers’ opinions so that people would not be entirely swayed by mine. Thanks for reading, and thanks for the comment.